← EU Litigation Services and the fake court settlement in the Arona courts. It is always very tricky when cold callers are using names of genuine companies, which makes it so much more difficult for consumers to confirm the offer and do their research. This is the case with Parker Getty. Timeshare consumers who have been duped in the past by bogus resale companies have received cold calls. The agent from “Parker Getty” claims to be in the recovery loop for compensation pay-outs from court action against the different bogus companies. In order to recover the money paid to these fraudulent companies taxes and fees need to be covered and for this the Timeshare owner is requested a payment of around £1,800 pounds, which is to be paid to A. Hutchinson at Advanced Payment Solutions, APS. 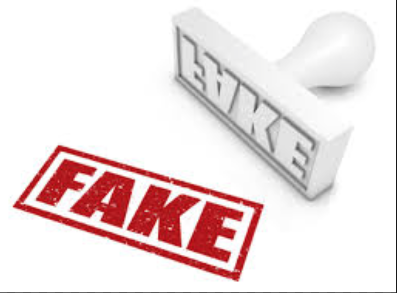 Thankfully alert timeshare consumers have verified with both Parker Getty limited and Advanced Payment Solutions, that they are NOT the ones doing these cold calls and no money is there recovered or waiting to be paid out. PLEASE be extremely careful when receiving a telephone call from any person claiming to be calling on behalf of Parker Getty! If you have been contacted already by such person from 01462600104 then please do let us know. This entry was posted in Legal Services, Mediation services, Warnings and tagged A. Hutchinson, Advanced Payment Solutions, APS, bogus resale, Cold Callers, Cold Calls, Court Claims, Parker Getty, Parker Getty Liquidators, Timeshare scams. Bookmark the permalink. 1 Response to Parker Getty, cold calling liquidators mis-using a genuine name! I too was called by a person named Benjamin Goldburg from Parker Getty, telephone No: 01462600104 offering to pay me £14,000.00 for my time share and expecting me to pay him £599.00 upfront before the monies can be released to me. I asked him for his office address and offered to visit him to collect my money and pay him his fees, he did give me a non-existing address and fortunately I did not part with any money as I refused to pay any money upfront. Please beware of this person.